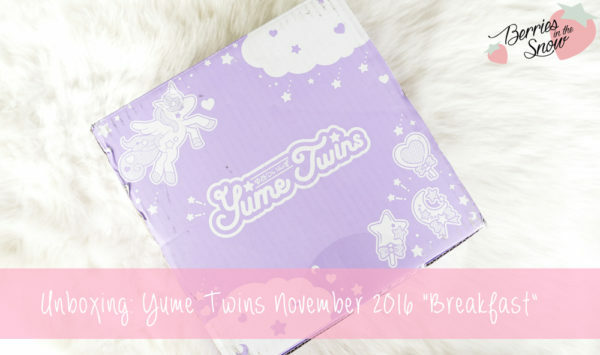 TokyoTreat also offers a subscription box for Japanese cute things called YumeTwins. 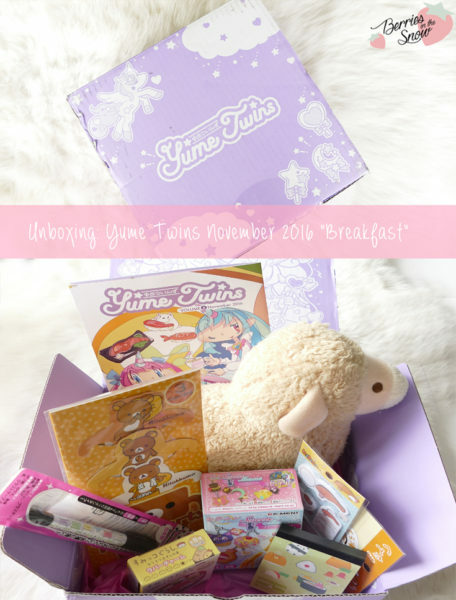 I received the YumeTwins Box November 2016 a couple of days ago and I’m happy to share its content with you today. The topic of this months YumeTwins Box was “Breakfast”, the most important meal of the day, as it is said! 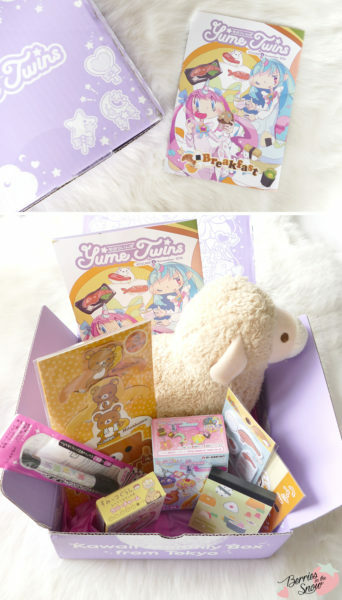 YumeTwins Box is a monthly subscription box service located in Japan and delivering cute and kawaii stuff from Japan. They state that it centers around the terms Yume Kawaii, which is a new Kawaii movement that has developed, being a mix of cuteness, fairytale and darkness. Each YumeTwins box contains 8-10 items reaching from plushies, squiechies, collectible keychains and figures, stationary and accessories. The box can be either subscribed monthly, or in packages of 3, 6 or 12 months. The YumeTwins Box November 2016 contains exactly 8 items and revolves around the topic “Breakfast”, since breakfast has an important role in Japanese culture. Traditional Japanese breakfast is very hearty, serving fish, rice, eggs, pickles and miso soup. But of course there is also western breakfast available in Japan. Another Hit-item in the YumeTwins Box November 2016 were the Re-ment’s Sailor Moon Sweets Mascot. These are blind boxes containing one out of 6 cute and tasty looking Sailor Moon themed charms. In my box the Tuxedo charm was included. Since the charms are designed as sweets this fits nicely into the breakfast topic. 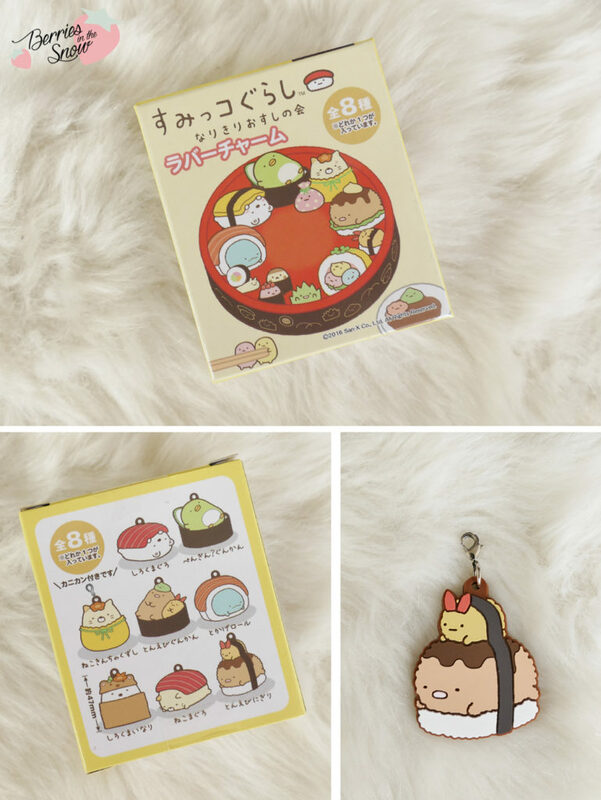 Another charm was also part of this month’s box: the Sumikko Gurashi Sushi Rubber Keychain Charm! In Japan you can have Sushi for breakfast at fish markets, although it is not really a typical breakfast food. Still, the key charms are so cute and I love the rubber material they have. Japan is known for their adoreable stationary and of course the box needed some notepads, too. My box contained a Obento Mate Mini-Notepad, illustrated with cute pandas/bears and typical food which is part of a japanese bento (onigiri, bunny-apple-slices, octopus sausages…). I love these kind of mini-notepads! 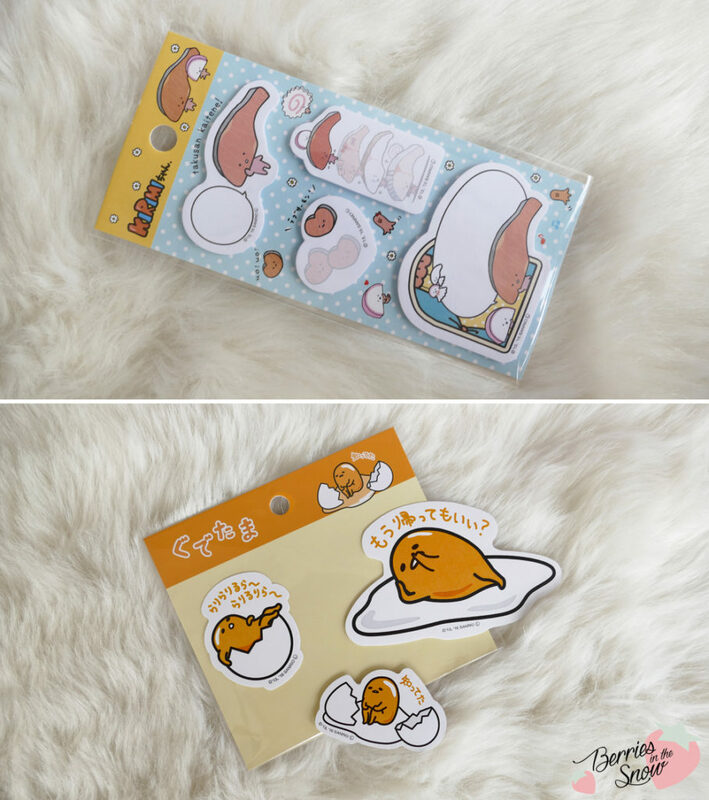 More stationary of course: the Sanrio Kirimichan Post-Its and Sanrio Gudetama stickers! I know you guys love Gudetama and lately there have been so many fun beauty product collaborations with this egg mascot. Egg is the key breakfast product in most countries all over the world, so it is super fitting into the breakfast theme. Kirimichan is not so well-known as Gudetama, but it is also a food themed character from Sanrio, depicting a salmon piece. Fish is very important in traditional Japanese breakfast, so this one fits in perfect, too! I fell in love with the Rilakkuuma Tea Party Darjeeling Tea Bags at first sight. 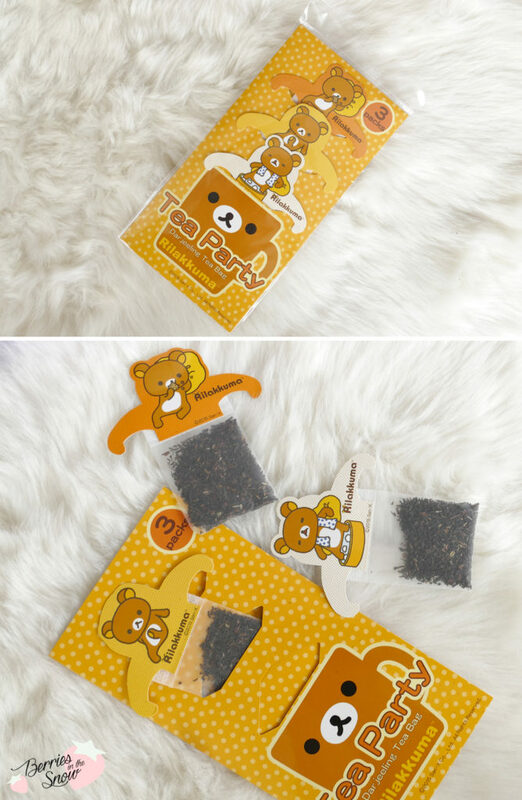 These adorable teabags have a cardboard Rilakkuuma illustration which acts as a holder for the teabag on the same time. So adorable and perfect for a tealover, especially for breakfast! The last item of the YumeBox November 2016 is the Enogumasan 2-Way Marker. 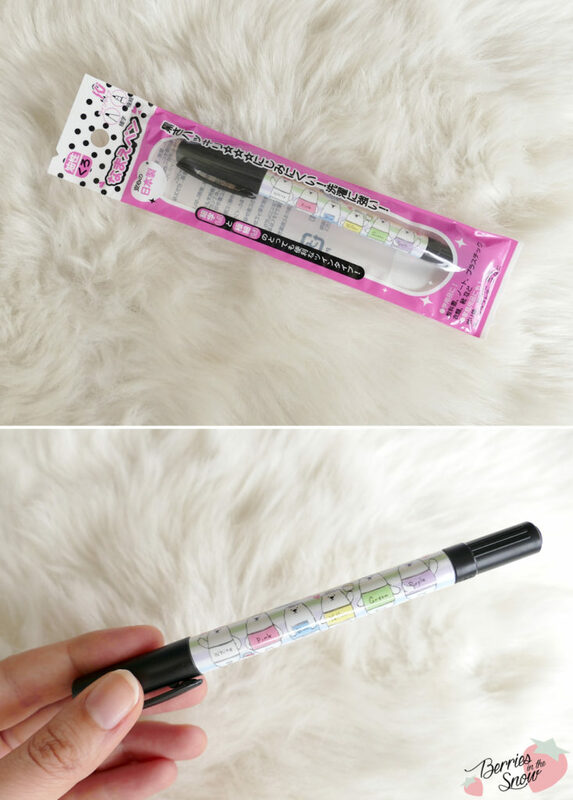 Enogumasan is a bear character from popular japanese stationary maker Kamio. The marker has two sides, a thicker and a thin side. And of course it is super cute. Not necessarily a breakfast themed products but still I love it! YumeTwins Box made me totally happy and I love the concept of this subscription box. 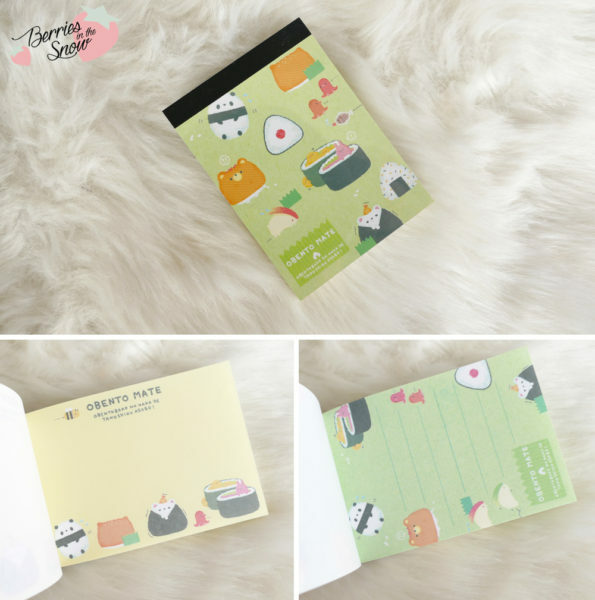 If you are a Japan stationary and cute stuff lover you will adore this box. I love how they have a theme for it and try to find products that fit to the theme. In the magazine which is included in the box you will find the descriptions from the products but also some more information about the topic, which also gives you more insight about japanese culture. The YumeTwins Box retails for 29.99 US $ including worldwide shipping. The 3,6, and 12 month plans have a discounted price. EDIT: I just read the news that they made a Makeover for YumeTwins Box. The new YumeTwins Box will contain only 5 items, but they will include in EACH Box high Quality plushies, lifestyle goods and premium character goods worth over 50 US$. The new YumeTwins Box changes are based on a survey among their subscribers. For their launch there is a Grand Renewal Sale, where subscribers can get UP TO $60 DISCOUNT on the YumeTwins plans until Dec 8th, 2016 using coupon NEWYUMETWINS! Don’t miss your chance to try it! If you are interested in TokyoTreat and YumeTwins Box visit their webpage, their instagram, or their facebook page. What do you think about YumeBox? Just as a short reminder: All products mentioned and reviewed on this blog are of my personal opinions. This product here was sent to me for reviewing purpose by https://tokyotreat.com which doesn’t influence me in providing my honest opinion on the products. awww was für ein süßer Inhalt! OMG! Die Box ist ja mal mega genial! 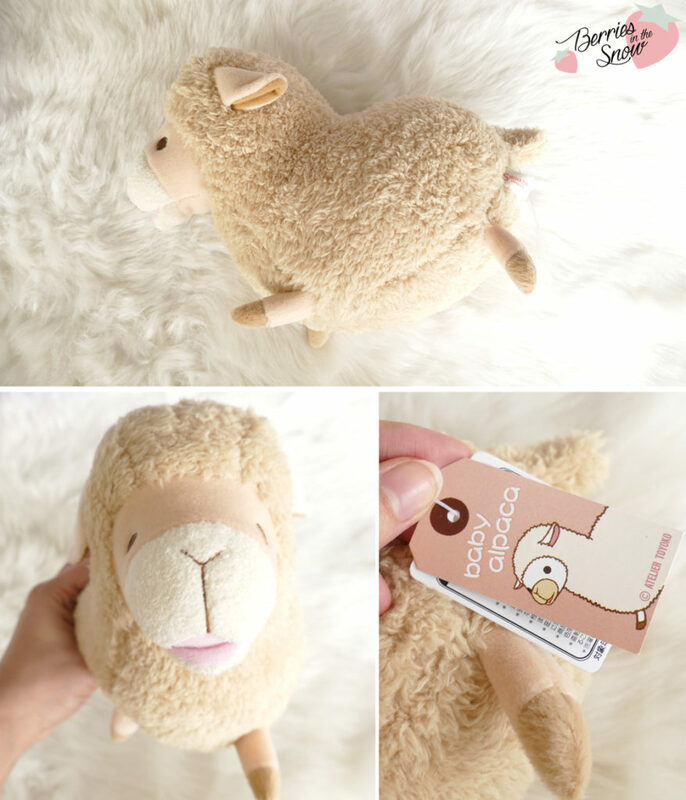 Diese Tee-Beutel und dieses Alpaca, awwww (ich entschuldige mich, dass ich es auf Instagram als Schaf betitelt habe XD). Bei der Box finde ich den Preis nun okay, wenn der Inhalt aber schlechter wäre, wäre es mir wohl etwas zu teuer. This is totally cool! I’ve been checking these boxes before. Schöner Blog Post meine süße! Die Produkte aus der Box sind ja wirklich zuckersüß… Am besten gefällt mir der kleine süße Notizblock! Kann man einfach immer gebrauchen. Süße der Inhalt dieser Box ist ja goldig. Vor allem das Alpaka hat es mir angetan… ich würde am liebsten alles haben.